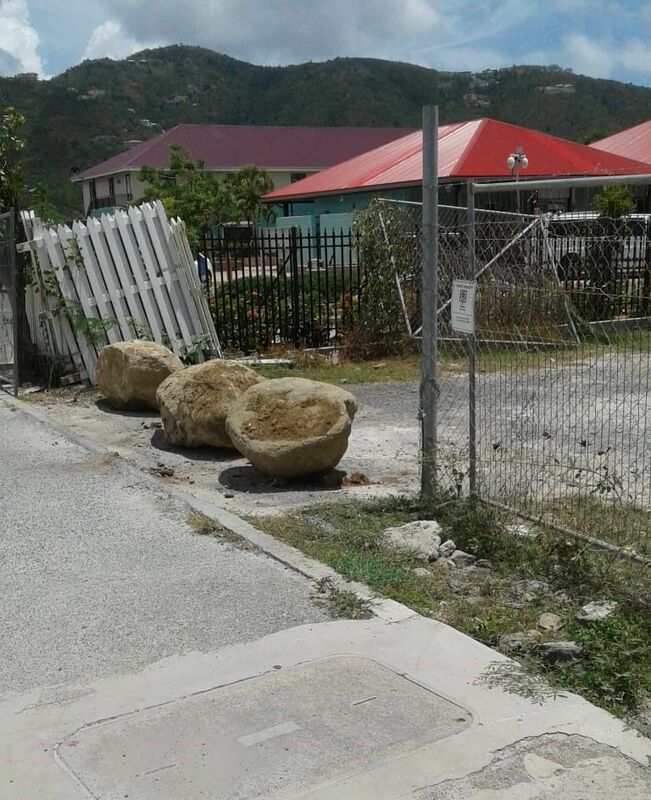 Several boulders have been placed at the entrance to the parking lot on Wickhams Cay, along with a sign warning that it is "private property" and there should be "no parking at any time." Research confirms that the closed off land belongs to the Social Security Board (SSB). 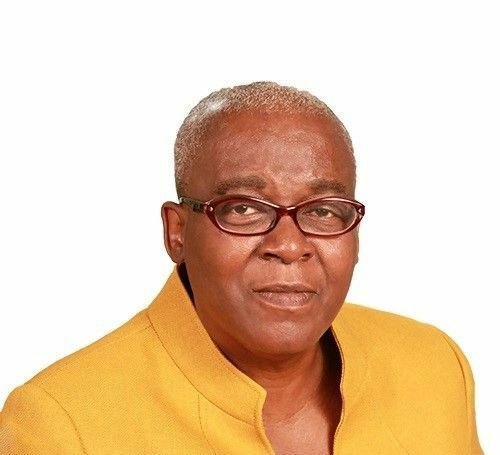 Head of the BVI Social Security Board, Ms Antoinette Skelton, in an invited comment said, the entity was merely looking to secure the property ahead of preliminary works for the construction of its new headquarters. She told Virgin Islands News Online, the entity was getting ready to begin soil testing “any day now” and that the barricade and signage had been erected since last week. 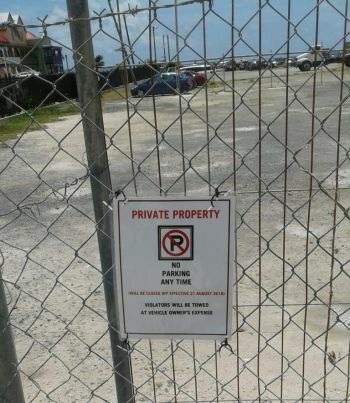 Speaking to the need to secure the premises, Ms Skelton reminded that the property had been fenced following the hurricanes of 2017 and that there had been a chain and lock. These, she said, were removed by persons. According to Ms Skelton, the Social Security Board was also concerned that persons intruding on the property could be injured and this could pose a liability to the entity. “It wasn’t a consideration, when the decision was made,” said Ms Skelton. 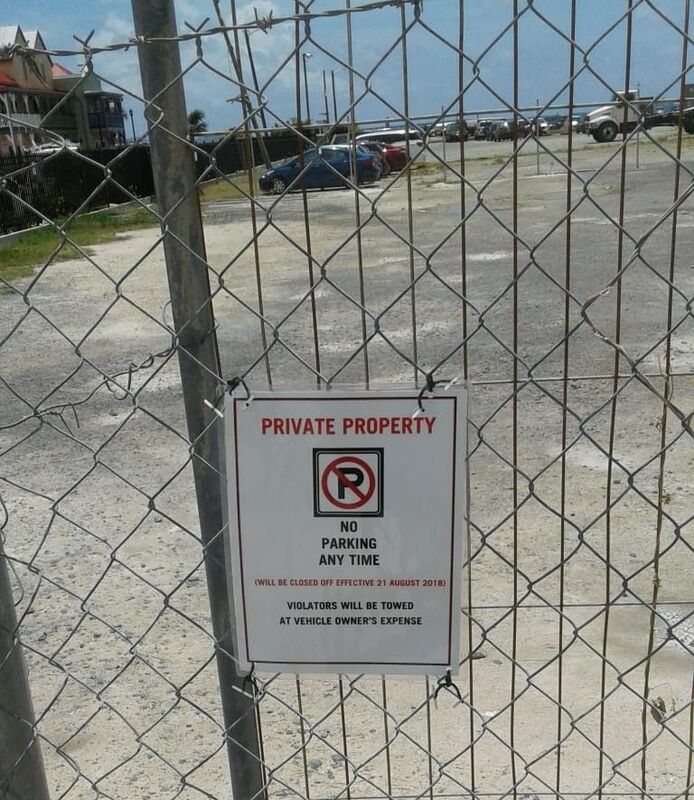 The TPP did not respond to questions from Virgin Islands News Online as to the alternative parking. too many 'skeltons' in the closet...where people supposed to park, on the astral plane? You people need to grow up. You should count your blessings you were allowed to park there for free all of this time. It is NOT your property! Park your cars somewhere else and start walking exercise now. I too was parking there, but I have no problem going elsewhere and walking. How lazy can you get? SMDH. why because you can't do as you please? I know her well. She has no compassion. Awful person! Usually when they can’t do as they please the CEO is the problem. Leave your car home and carpool. Is there absolutely no town and country planning? So the future is for tourists to walk past a row of government buildings? Locals unable to shop at TPP due to no parking? Why are we not zoning this areas for tourism? Prime land is not for administration blocks, Where there is no vision the people perish. Can’t wait till Ndp out for them to remove her miserable self. For you who said you will park there, I hope you have the money to get your car out of tow and pay a fine. Time for that woman to go home. Has she not reached retirement age? Mrs Antoinette Skelton is one of the most compassionate persons I know . She is unlike many who are pretentious , she is a real G . I am who I am because of that tough love she gives with the gentle push to be the best you can be . Mediocrity is not in her book . Miss A many more young ladies need a mentor like you . Keep being you ! Somebody explain to me how Ms. Skelton is a terrible person for blocking the lot because work is to begin any day soon? Stupidness. If it was your land to build something and needed to keep people out you would’ve done the same. I am a staff and she is a Beast dressed up as Cinderella for the public. Perfect example of how ignorence flows in the BVI. You give them an inch and they expect a foot.